Six people were killed and dozens others seriously injured in blasts in Nairobi’s Eastleigh estate Monday evening. K-Star a young Kenyan artist of Msanii recording, producing and composing is dead. His proper names are Bartholomew Aburi. He attends St. Patrick Catholic Church in Jersey City, NJ. He is the beloved son of Mr &Mrs Alloys Aburi of Jumuiya Choir St. Patrick Catholic Church in Jersey City. Orinally they are from Gekomu-Mwembe Tayari-Kisii town. Monday 03/31/2014, his mother was prepared for work but before she left the house she routinely checks her children’s bed rooms. Today it was a sad day in her life; She first checked her daughter Esther and went to check “Kanda” as he is popularly known. He failed to respond to his mother’s check up call. Mrs. Aburi went ahead and touched him still there was no response; she tried to turn him because he was facedown with his head leaning on his hands but still no response. She woke up her husband and daughter and called 911. They performed CPR in his bedroom with assistance of paramedics on the phone until Jersey City Medical Center paramedics arrived and did CPR and took him to emergence room where he was pronounced death. His body was taken by medical examiner in Newark New Jersey for investigation before it’s released to Watson funeral home. On the past weekend he performed in Maryland. K-star “Kanda” known as Bathlomew Aburi’s death has shocked many people. He is the only son of the two children of Mr. & Mrs. Alloys Aburi. He went to Gusii Highlights Primary School up to 7th grade, then with his family he relocated to USA in Nov.2003 and joined Nicolas Copernicus No. 25 elementary school in Jersey City, New Jersey for his 8th grade. Then he joined William L Dickenson High School in Jersey City, New Jersey. He is currently a mechanical engineer student at Essex County Community College. He usually works part time as a sanitation officer for Jersey City Police Department. He was born march.7th.1991. He was grandson to late Paul Kegengo and Brigita Mongina Kegengo both of Bosigisa Nyaribari Kisii County and late Mr.&Mrs Pius Akumu both of Gekomu-Kisii town –Kisii County. He was the most and only loving brother to Esther Aburi. He was the loving nephew to late Lukas Machogu, Kennedy Kegengo of Coca-Cola bottlers Kisii, James Kegego retired teacher, Pacifica Orucho both of Bosigisa Nyaribari Kisii County. Stephen Nyairo, George Ragogi, late Joseph Akumu, Anastancia Akumu, Annah Ombongi both of Gekomu Kisii town-Kisii County, Mary Masese of Nyahura Kisii County. He was the loving cousin to Lameck Maragia, Ronald Orucho both of Coca-Cola Kisii bottlers, Nicoline Machogu Kisii Level 5 Hospital , Doline Gesare clinical officer Samburu, Anthorny Omuya of Daily Nation Nairobi , Ronald Bob Business Mombasa, Samuel Omuya accounting Mombasa, Thomas Kegengo Student Moi University, Joseph Aburi student, Leo Maragia and Stella Mande Nurse Jersey City. People are currently meeting at his parent’s residence daily at: 267 Clerk Street, Jersey City, New Jersey. Further details will follow shortly. 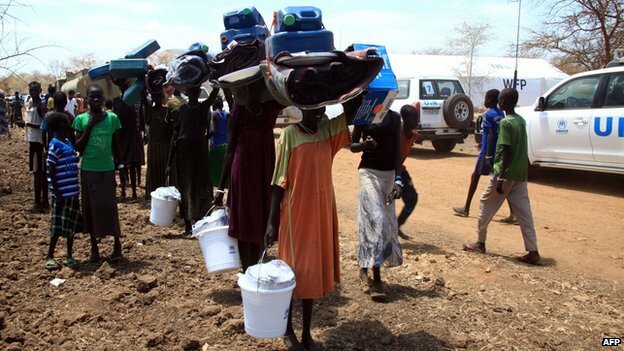 At least 36 civilians have been killed and 31 others injured in a rebel assault on Duk County in South Sudan’s vast and restive Jonglei State, officials have said. A nominated senator spent a night in a police cell after she was arrested for drink-driving. A criminal tried to smuggle a mobile phone into prison inside a piece of cereal. Fellow commoners, if you are contended that the current government of Jubilee has what it takes to tackle the myriad challenges facing our nation, forget it… Not even the so called official opposition Cord, has shown any credibility as an alternative government. What those in power and opposition are capable of doing is to talk about our plight publicly; shedding crocodile tears but inwardly, they care less about the tribulations common citizens go through every day. Nobody is thinking about the suffering of Kenyan commoners; except the almighty God. Even those who shout loudest about our suffering only do so to achieve their selfish ends- power, fame and influence. What is our role as commoners; shall we assume that our leaders will one day come up with remedies to our challenges? Pacifism is good in an egalitarian society where the principles of equality, equity and human rights are respected. However, in the Kenyan setting, critical action is desperately required to pave the way for a renaissance or emancipation of our society. We can’t wait any longer for the skies to continue rising and falling five decades after independence without taking action. It’s also critical to realize that waiting for a solution from those who are the causers of our present suffering is totally futile. Shall we wait for President Uhuru Kenyatta, William Ruto, Raila Odinga or Kalonzo Musyoka to mention but a few, to shape the destiny of Kenya when they have practically shown the nation that they lack the transformative agenda for Kenya? How long shall we talk about endemic corruption, tribalism, lack of equity and equality in Kenya? We can’t afford wading in starvation, disease, injustice, stolen elections, nepotism, and grandiose greedy when other nations are making positive strides in socio economic development; leaving us stuck in the mud mainly due to graft and mismanagement of our resources! There is no trace of evidence that the current leadership will grant Kenyans economic freedom, fight graft, narrow the gap between the rich and the poor, empower disadvantaged groups in the Country or propel our country’s justice system and respect universal democratic tenets. The President and his deputy only talks about our challenges in public but rarely think about a hungry Kenyan child; walking bare-footed to school and often lacking basic stationery to use at school. The current leadership which came to power controversially a year ago continues to thrive on confusion. Both Uhuru and Ruto are extremely allergic to democratic values because they are knitted from linens of dictatorship, injustice, assassinations, corruption and looting of public resources started by the first President of Kenya, Mzee Kenyatta, perfected by Uhuru and Ruto’s mentor; former President Moi. With all the current impediments, how can we sit back as ordinary citizens and wait as if Kenya is being fixed when it’s in fact being destroyed by the ruling elite? If President Uhuru believes in democracy, why should he tell Kenyans publicly that he has 10 years ahead of him as President as if Kenya is a dictatorship? No wonder, the Jubilee government is out to stifle the truth and rumour that the Standard Media Group may have been prevailed upon by Uhuru to fore-go the airing of the Jicho Pevu expose about the irregularities of last year’s elections, may be true. Is this not enough to stir the minds of Kenyans who respect democracy through the ballot to think deeper and wider on the wrong path we are in? Telling a nation of 40 million people that you will rule them for 10 years as if you have powers to define your mortal existence is unwise. As if this was not enough, the President had the audacity to tell Kenyans that after his 10 years, he will pass the baton to his deputy for another 10 years. What an insult to Kenyans and democracy? This is not incitement but a re-awakening message for all Kenyans from Moyale to Namanga; Mount Elgon to Liboi, to rise up irrespective of tribe; creed or gender so that we can pave the way for a mass led leadership in the Country. A new consciousness to resist that which is sinking our nation is desperately needed. We pay taxes meant to build the country in all spheres but… Kenya is sick. The time is now if we truly want to have a better Country. We both need to fight in order to sail through clear waters or sink in dirty waters and drown as a Country. We need to recognize the fact that because the current regime has failed to urgently address our suffering, we have a right as citizens to pursue peaceful resistance or a revolution. We are aware of what is at stake; we have the weapons and the battle field -moral courage, passion and determination to bring change. Our inaction will make Kenya to remain doomed while action will give us an opportunity to define the right destiny for Kenya. According to Fredrick Douglas, the sage of the civil rights movement in America, those who profess to favor freedom, and yet depreciate agitation, are men who want rain without thunder and lightning. Fellow commoners, we need to refuse allegiance to a corrupt regime out to completely wreck the nation to benefit a minority. We don’t need money to bring change to Kenya, but through a popular revolution based on a consciousness of bravery, passion, endurance, sacrifice, commitment and dedication. We are all fatigued; we are burdened. Our tears have filled the bottle for the last 50 years. Let us take the opportunity as the majority without worrying on who will lead a successful movement for Kenya’s renaissance. After all, we have millions of men and women who are in synch with the aspirations of Kenyans from all walks of life and with a positive focus of transforming the country for the good of all. First of all, we need to align our conscience first through the understanding that we are in social, political and economic doldrums, which MUST be overcome by regular citizens and not the ruling elite. Secondly, we need to prepare ourselves psychologically. After these, move pronto for a revolution because we care for Kenya and her future. · Why should we pay taxes when the government has failed to provide us with basic services- water, security, and better schools? · Why is the gap between the rich and poor continuing to widen yet we have constitutional safeguards for all and sundry? · Why has the judiciary never prosecuted or implicated any senior person on graft yet we see so many mega corrupt scandals and looting in the Country? · Why should we continue to pay our taxes to pay civil servants yet they demand bribes or kickbacks before rendering services to members of the public? · Why should we waste time to vote in an election when a President who is in office in less than a year talks openly about leading the country for 10 years and passing the baton to his deputy for another 10 years as if Kenya is a dictatorship? · Why should we be contended that things are right when we see the government in power thriving on impunity, disrespecting and violating the constitution of the land? · Kenya is being tone asunder. Professionalism, meritocracy, regional balance is never the yardstick when it comes to making government appointments. Call it brain drain, professional hopping or demoralization… our professionals- doctors, nurses, engineers are running out of the country for greener pastures because Kenya has failed to recognize their worthy. Who will design our roads and treat our patients? · Why has the government failed to act, yet time after time, the auditor general has stated that massive billions of Kenyan Shillings are unaccounted after the audit of our national treasury? · Why is the government or even the political opposition silent on this? Why is the current government not clear to try and divulge the circumstances under which the funds are disappearing when ordinary Kenyans are living in grubby conditions? · Kenya is in an economic crisis. Aren’t you outraged by the government’s silence on addressing the low purchasing power and the skyrocketing of prices of essential commodities like Unga, milk and bread? · Aren’t you outraged that tribalism has not only become a culture but a norm while the rate of unemployment is indescribable? · Are you comfortable as a citizen when a small class of Kenyans have mysteriously risen to riches through unscrupulous (corrupt) means- from middle class income people to multi-billionaires? The same class, who now account for over 40% of the Country’s wealth? Why wait when those who purport to be our leaders are primarily expanding their financial empires at the expense of the taxpayers? · Aren’t you outraged when civil service appointments do not meet constitutional thresholds on meritocracy, gender equity and regional balances? · As a citizen, are you not outraged by the government’s failure to curb rampant insecurity despite controlling all security machineries in the Country? That even houses of worship are not spared by thugs. Our suffering is a trigger to nurture Kenya’s future! We need a person in the seat of power who understands the suffering of the Kenyan masses; a person who will walk with all and sundry in one wavelength; sharing our predicaments, challenges and aspirations to realize our collective good. Kenyans at home and abroad need to ask this question: is this the country we wish to bequeath to the future generation? And if the answer is no, we have the moral ground to stand up for a peaceful revolution in the Country and shame those who belittle the strength and power of Kenyan commoners. If the Arabs did it in style between 2010 and 2011 in Egypt, Libya, and Tunisia, the French in the 18th Century, and Romanians in 1989, while Philippines did it even peacefully by overthrowing Ferdinand Marcos in 1986, why should resilient Kenyans fail to do the same to salvage the Country from the jaws of the hyenas? Mass power is vital and the only lethal weapon to bring down corrupt regimes in the world! The millions of votes Uhuru and Ruto garnered in 2013 mostly came from the hungry poor who have every right to reverse what they did anytime using all means available. Stand up and be counted if you are outraged and if you see that the votes you cast in 2013 was to pave the way for hyenas to maul Kenya clean! According to Che Guevara, the Argentine revolutionary, “a revolution is not an apple that falls when it is ripe. You have to make it fall.” Let us act and let us move; let us use every available soft weapon to liberate Kenya from the current doom. We are justified to act in a manner that will propel into power a leadership which is representative, accountable, just and democratic. If you are allergic to dictatorship and are frustrated the way the ruling elite are running the Country, let us act. The death of New Vision photographer Mubiru Kakebe last week has brought into sharp focus the trial and tribulations that press photographers face as they do their work. The debate as to whether the woman that attacked him was right or wrong has raged all over the airwaves, in newspapers and all over social media. Kenya is planning a multi-million shilling exhibition in one of America’s prominent museums to lure more US tourists to the country.